This experiment invented by Benjamin Franklin in the 18th century during his experimentation with electricity. The hanging Aluminum ball will be attracted to one coke can, will touch it, pick up its charge, and be repelled; then Aluminum ball will swing across to the other coke can, and do the same there. 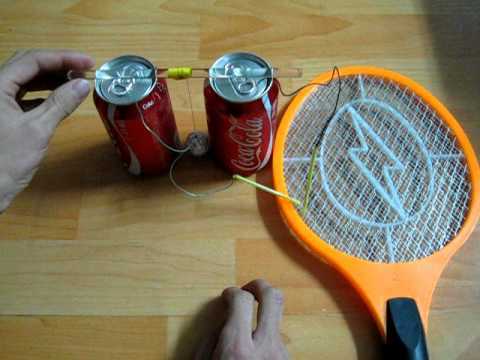 Electric fly swatter can produce 3,000V~4,000V DC.